As discussed in my last blog, before buying a puppy, there are many things that the careful and wise buyer wants to educate themselves about to ensure the best experience possible. 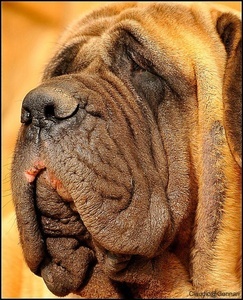 Once you have figured out which breed(s) suits/interests you and have educated yourself about the positives, negatives and potential issues, including health issues, the final step is to find possible breeders of interest and most importantly at long last - your puppy! 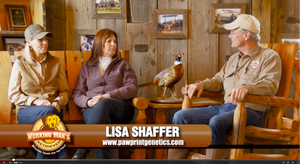 Many breeders are doing their due diligence to produce and raise the best puppies possible. 0thers are just giving this lip service, and with all the seemingly "right" answers to questions, it is not always easy to tell the difference. As entertaining, happy and hard-working dogs, golden retrievers have become one of the most popular breeds in the world. 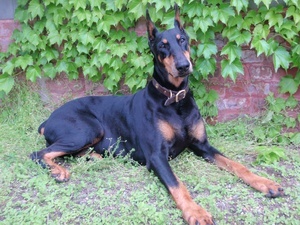 They consistently rank among the most-registered breeds in the U.S., U.K. and Australia, and serve many roles with an unrivaled eagerness to please. 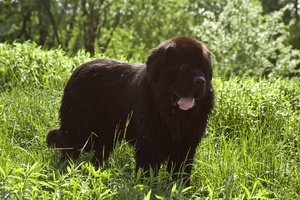 Developed in Scotland in the 1800s as a water dog used to retrieve shot fowl, golden retrievers descend from a non-descript “yellow-colored” retriever, two extinct breeds (the St. Johns water dog and the Tweed water spaniel), Irish setters, the bloodhound and wavy-coated black retrievers. 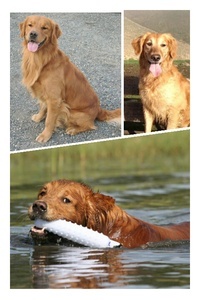 This combination of dogs set the stage for the modern golden’s characteristics: love of water, superb scenting ability, trainability, biddable disposition, desire to retrieve, soft mouth and intelligence. A well-balanced dog, golden retrievers possess soundness of body, character and intelligence (author Stanley Coren ranks them as the fourth most-intelligent dog). One of the most easily recognized breeds throughout the world, German shepherd dogs have packed plenty of accomplishments, while garnering a storied reputation, into a very short history. The modern German shepherd dog (GSD) dates to 1899 and descends from that country’s herding and guarding dogs. Through a strict breeding program grounded in working ability, the standardized GSD developed quickly; and while it continued to be used for herding and guarding sheep, the breed’s outstanding characteristics suited it for a wide array of working roles. German shepherd dogs serve in military and police roles to track and detain criminals, as patrol and personal guard dogs and in scent detection – everything from tracking and narcotics work to mine, explosive and accelerant discovery. 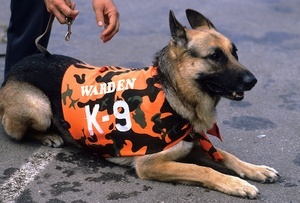 GSDs are also used in search and rescue operations and as guide dogs for the blind. The GSD’s diversity of use stems from their inherent working abilities that include intelligence, courage, trainability, strength, a sensitive nose, obedience and loyalty. 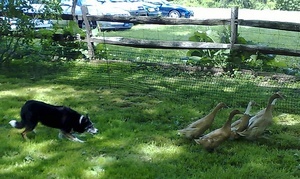 In fact, in the book The Intelligence of Dogs, author and psychologist Stanley Coren ranks GSDs as the third-most intelligent dog (behind the border collie and poodle). House fires, wildfires, tornados, hurricanes and other disasters can destroy a home and displace families in a matter of minutes. If you live in an area prone to the destructive forces of nature, having a plan can save the lives of both you and your family – including your pets. In the case of a house fire, when seconds count, organization matters even more when it comes to saving your pets. July 15 is National Pet Fire Safety Day, and as such, we’re here to offer a few tips to help you prepare in the case of an emergency situation. 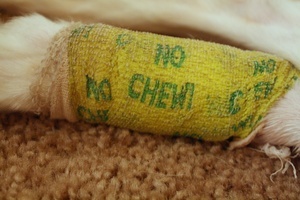 First and foremost, you have to get to a safe place – and you have to take your pet with you. Don’t leave your dog behind to fend for itself or for first responders to rescue – they’ll likely be too busy saving human lives to take responsibility for your pet. Paw Print Genetics recently attended the Washington State Search and Rescue Conference in Ellensburg, Wash. 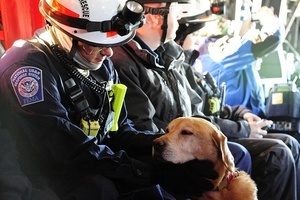 The conference provides educational classes for civilian search and rescue personnel, including canine teams. While several canine-related classes were offered, including tracking, testing and meteorology, perhaps my favorite was the first-aid class offered by Dr. Michael Fuller, a 30-plus-year veterinarian at the local Ellensburg Animal Hospital. He covered a lot of material in the hour-and-a-half session, everything from must-have items in a first aid kit to broken bones. And while the class was devoted to SAR teams that are often far removed from help, the suggestions on what to pack make an excellent quick, easy-to-carry kit for travelers, hikers and hunters.